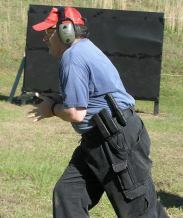 Elite Arms Training provides firearms training to those who seek personalized attention and a comfortable atmosphere. We take a business-like approach to teaching you the skills and knowledge necessary to place your bullets where they need to be, whether it's self-defense, competition, hunting or just looking to improve your ability at the target range. We keep our classes small to allow you the repetition of shooting drills and the individual attention you deserve. 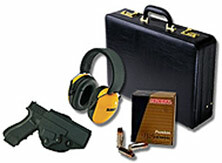 Firearms training at your service! 34A O. T. Davis Rd. Our goal is to provide professional assistance in the safe and proficient handling of your firearm, to provide training so you may confidently protect yourself and your family. We also want to instill that desire and challenge so that you may seek to continue in your enjoyment of shooting skills through competition and sport.